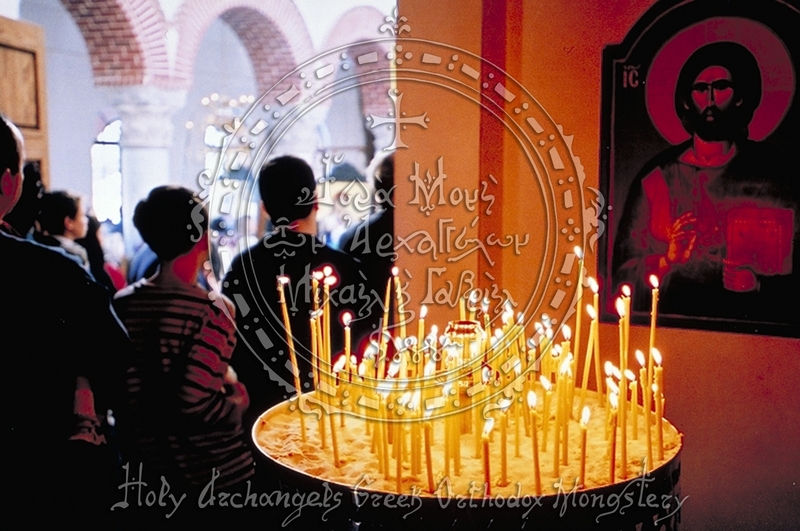 Welcome to the website of the Holy Archangels Greek Orthodox Monastery! The blessing of the Lord and His Holy Mother, and the protection of the Holy Archangels be upon you! 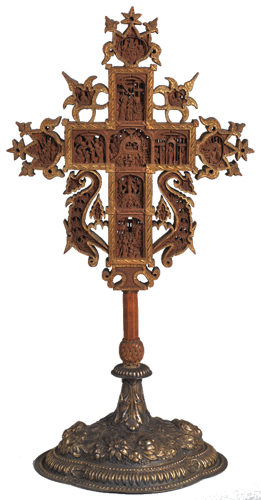 The website is designed as a humble offering to help pilgrims, friends, inquirers and neighbors understand who we are, learn about our history, view updates and images from our many construction projects, and much more. Additionally, the site contains a variety of photographs from 1996 to the present, providing a visual testimony to the work of God that has taken place. We are honored to be located in the Texas Hill Country and to provide a place of solace in these troubling times. 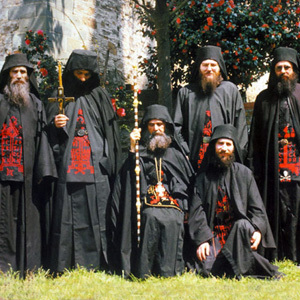 Since our founding in 1996, we have provided hospitality to many pilgrims, prayers for countless souls, living and departed, and most importantly a place for men to come and devote their lives to Christ in the holy path of Orthodox monasticism. May the intercessions of the Holy Archangels be with you! Holy Archangels Greek Orthodox Monastery is a cenobitic men’s monastery under the Metropolis of Denver. 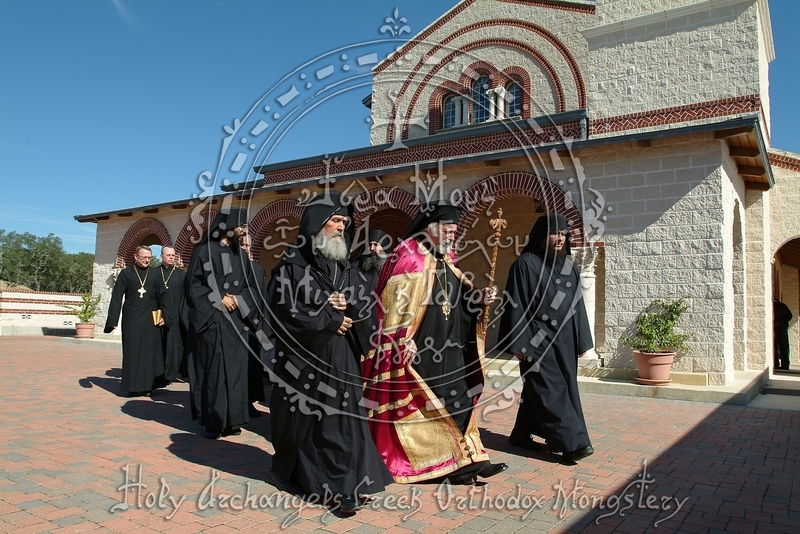 With the blessings of His Eminence Metropolitan Isaiah, the monastery was founded by Elder Ephraim in 1996. 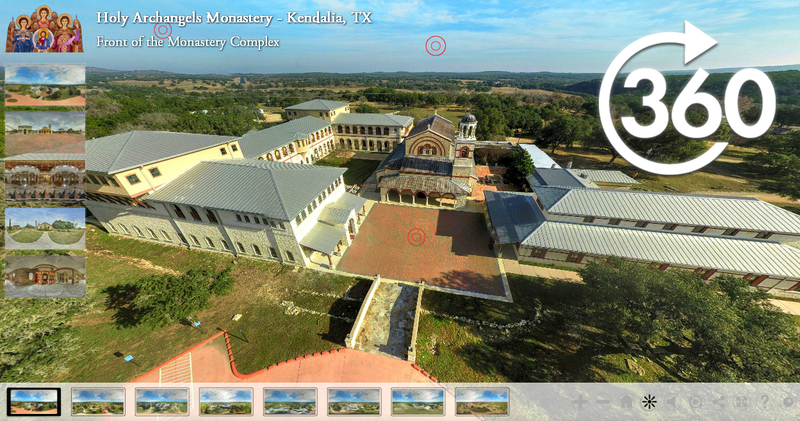 The monastery resides in Kendalia, north of San Antonio and west of Austin, located in the heart of Texas. Metropolitan Isaiah is a native of Portsmouth, NH. He is one of four children born to Dennis and Mary (Kapsimalis) Chronopoulos, who had emigrated to the US from Olympia, Greece. After his primary and high school education, he served with distinction in the US Marine Corps during the Korean conflict. Holy Archangels is under the spiritual direction of Elder Ephraim, former abbot of Philotheou Monastery on Mount Athos, spiritual guide of several monasteries on Mount Athos and Greece, and the founder of numerous monasteries in the United States. 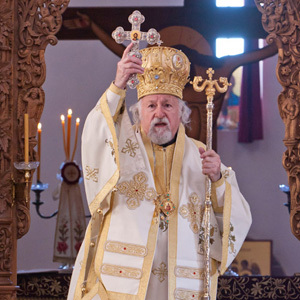 He resides in Arizona at St. Anthony’s Greek Orthodox Monastery. 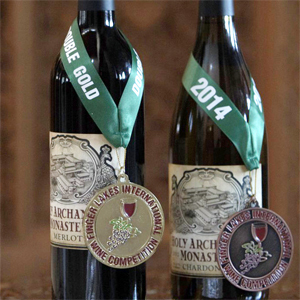 Holy Archangels Monastery, located in Kendalia, Texas, produces wine from many varietals of the best grapes grown sustainably in the Napa and Sonoma AVAs. The attention to detail and passion to produce wine coupled with our desire to bring more variety to the Texas Hill Country is a driving force behind the pleasantly palatable vintages we produce. Pilgrims gathering in the Katholikon for prayer. *All service times are subject to change due to construction. Please call ahead to confirm before visiting. *Please note* Monastery gates close at sunset. Please click here to download the Holy Week schedule or see below. Kindly read the following Rules, by virtue of which we may offer hospitality. This is a Holy Monastery of our Lord Jesus Christ. It is a place of prayer, repentance and redemption for those leading a monastic life and for pious pilgrims. Visiting hours normally include daytime hours and the daily service times. 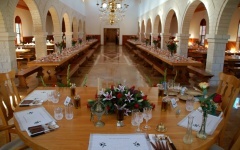 You are encouraged to contact the monastery when planning a visit. If you wish to enter the holy grounds, you should be dressed appropriately. Ladies are asked to modestly dress with loose fitting, non see-through clothing. The skirt or dress (no pants) should fall well below the knees. The shirt or blouse should be long sleeved and buttoned up (no v-necks), and a scarf is required as a head covering (no hats). Socks or hose and shoes must be worn at all times. Men are asked to wear long pants and long sleeved shirts, socks and shoes. As this holy monastery encompasses a large acreage, pilgrims must have permission before taking walks or hikes. You should remember that the consecration of this holy place does not allow for impropriety or disgraceful behavior. Loud conversation, insolent chatter, unrestrained laughter, and rude gestures are out of place here. Although young children are more than welcome to visit the monastery, parents are strictly responsible for their behavior, supervision and control, and should not allow them to roam freely. No smoking, hunting or fishing within the holy grounds is permitted. We trust in your good intent to adhere to the rules set above, within the precincts of the spiritual garden of the Holy Archangels. The fathers of the monastery have embarked on many construction projects for the glory of God since 1996. The first project converted a small farm building into the Chapel of the Glykophilousa Icon of the Mother of God. The fathers are very grateful to Armando Bravo and his firm AGB for the beautiful work on the chapel as well as their loving restoration work to the old German farm house, originally constructed in 1904, which serves as the current Bishop’s quarters. For additional construction projects, please see our timeline below. 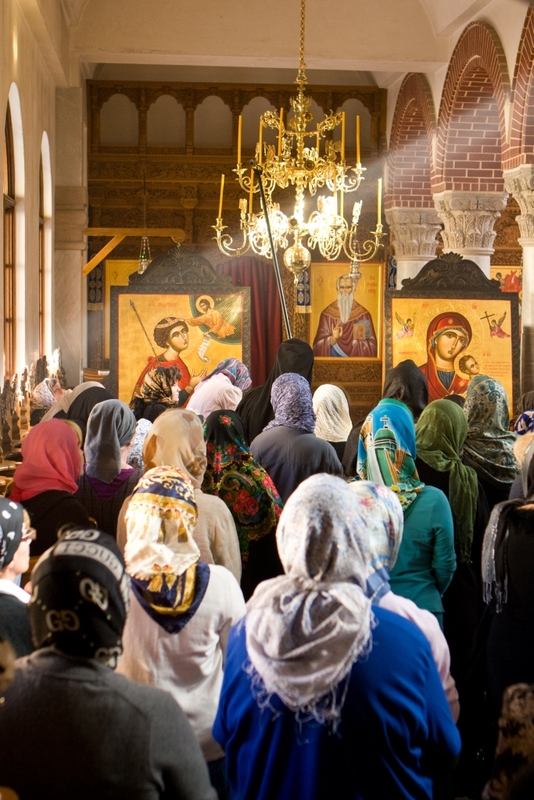 In July of 1996, the Fathers purchased and began converting the 140 acre and abandoned Muslim property into a Greek Orthodox Christian monastery. 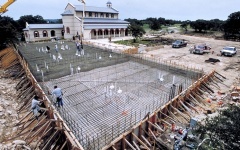 In May of 1997 work began on the Katholikon [main church]. 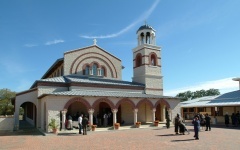 The grand opening of the Katholikon took place in November of 1998 with the former Archbishop Spyridon dedicating it and serving the first Divine Liturgy. At the end of 1998, the monks began construction of the trapeza [dining hall], where monks and pilgrims gather for food and fellowship. 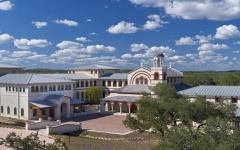 In 2002, work began on what will be the monks’ kellia [dormitories], complete with a library, infirmary, offices, archondariki [guest reception room], bookstore, and other facilities.